Let’s hear it for Charlie Kaufman. As a writer he has managed to put on-screen self-referential, structurally provocative, formally staged pieces. The fact that he gets financing registers as a minor miracle. To look at his filmography is to look at a writer in such control that he inspires a small army of our most talented film artists to commit to his vision. His work is a splash of color across an otherwise Michael Bay-ian wasteland of ever-larger blockbusters. Let’s not hear it for omphaloskepsis – naval-gazing meditation. 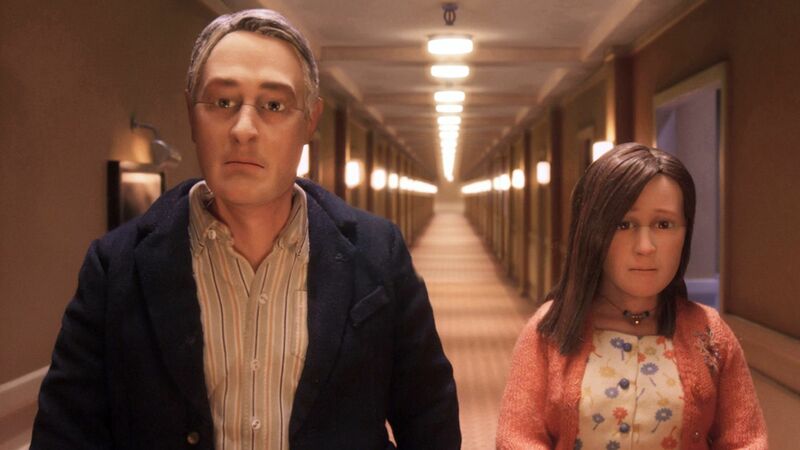 It is an actual practice, but more importantly, it is the downfall of Mr. Kaufman’s latest stop-motion picture, Anomalisa. The story, such as it is, takes us into the rabbit hole of Michael Stone’s descent into a narcissistic singularity. His story takes the “John Malkovich in John Malkovich’s head” sequence in Being John Malkovich and explodes it into a feature-length, Kafka-esque nightmare. Everyone in Michael’s life is becoming the same: indistinguishable in voice and appearance, yet each has an attentiveness to Michael and his whims. Seems quite the rub, to be both attended to and narcissistic while also being discontent with the nature of the attention. My wellspring of sympathy for narcissists is at an all-time low, so far from feeling sympathy for Michael that my heart’s strings were pulled by the long-suffering family in his life. To be shunned by someone with whom you have a contract (marriage, a child, a life, a one-night stand), to feel that they are pulling away from you and to never know the exact reasons seems an all-too-familiar hell for just about any relationship. In my own life I do have one moment of extreme empathy with Michael and his Fregoli delusion [Ed. note: rare disorder where someone believes different people are a single person who changes appearances], even as my sympathies lie with the not-Michael Stones of the movie – all voiced wonderfully by Tom Noonan. With each shift behind the bar I tease out people’s desires, and then do my best to fulfill them with the tools on hand. And each time I encounter a person whose desire is vodka, I get that feeling in the pit of my stomach that Michael has when his last lifeline of individuality (voiced by Jennifer Jason Leigh, having a renaissance) fades into a Noonan-voiced robot. Vodka is that Noonan-voiced antagonist, whose distinction from brand to brand is so minimal as to be inconsequential to the drinking experience. Vodka is that existential dread that haunts our fragile existence. Vodka is the great “Nothing” from the Neverending Story. Vodka is Donald Sutherland at the end of Invasion of the Body Snatchers having succumbed to the aliens’ snatching. Vodka is defined as an odorless, tasteless, colorless spirit. Vodka is the guest who brings nothing to the party. 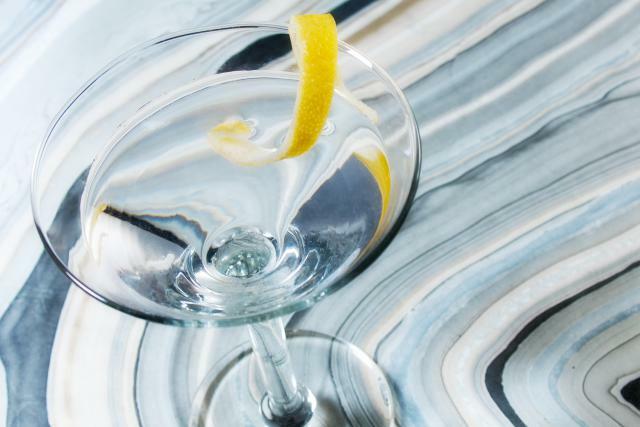 Vodka, especially in a cocktail, is the void that precipitated the big bang. The use of vodka as an ingredient sets my ire to 11, and unleashes a flurry of metaphors. Like these: why would you build a house without a foundation, why would you expect a tasty meal after asking the chef to base the meal on water, and why would you cast aside such amazing partners as rum, tequila, whiskey and gin to shack up with the least interesting contestant on The Bachelor(ette)? It immediately struck me that our man Michael might not be the protagonist the moment he ordered a Grey Goose martini. Someone so obsessed with finding a special connection ought to seek out the flavorful, the delicious, and the inscrutable. Instead he opts for the one sure way to dulling your senses and hiding out in a beige world he purports to want to escape. No, you don’t. Unless you fancy toenail polish remover. Distillation is a purifying process; all spirits are pure. You have a hangover because you drank TOO MUCH. Period. And when did we start trying to make our vices heathy by compromising their flavor? Drinking is a vice. On the highway to hell, drive a hummer. And when you are drinking, make sure it has taste great. So instead of moping on the stairs serenaded by a doll like Michael does, I prefer to confront my enemy. Ordering vodka from me will often precipitate a conversation. And while I might not sway everyone, I convince enough so that I am never lonely. P.S. 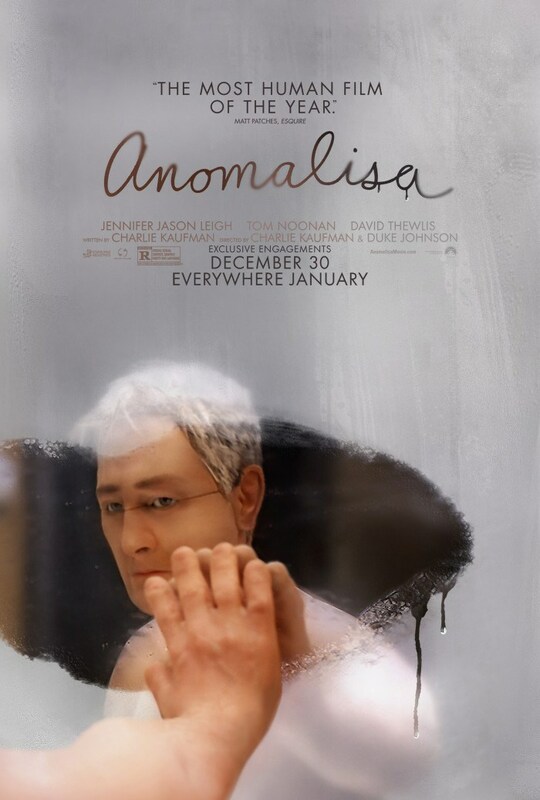 My reading of the end of Anomalisa has Michael falling in love with the doll, the only being left who didn’t have Noonan’s voice. Aerial view, Kangaroo. No amount of Busby Berkeley staging will disguise the depths of dull that is cold vodka. Chill glass with ice or leave in freezer for 30 minutes. Combine vodka, ice and stir – 40 times for small ice cubes, 70 times for large ice cubes. Strain cocktail into chilled glass. 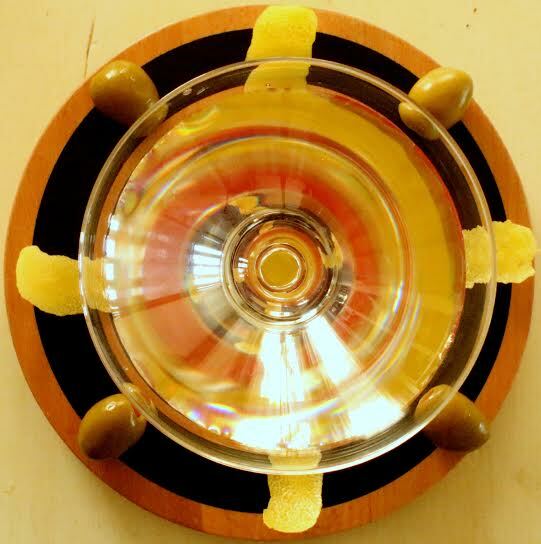 Drop in an olive (or three, always odd-numbered) or pinch zest above drink, skin-side down; rim glass with zest, skin-side on glass; then twist zest above drink and drop it in. Sip. Enjoy – as much as you can enjoy a cold glass of flavorless, odorless, colorless liquor. 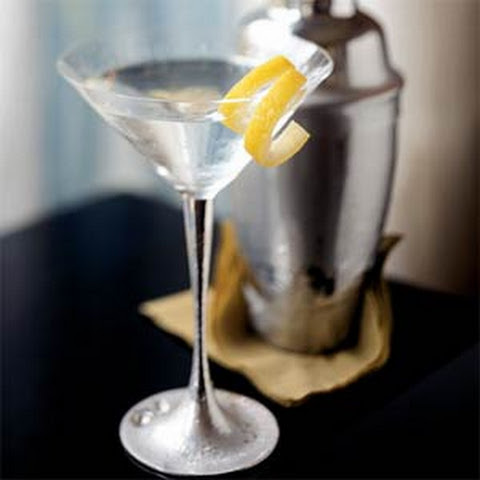 If you want to go much more classic, use 2 ounces of gin instead. Add a capful of dry vermouth. Garnish choice remains the same. Buy your vermouth in the smallest bottle possible. Once you have opened it, store it in your fridge. Be adventurous and try new gins at your local bar. Any bartender worth his or her salt will appreciate your appreciation of gin and give you a few tastes, business permitting. And there are new vermouths on the market, some even made locally. The rabbit hole for exploring flavor is limitless and yields unimagined rewards. All that is needed is an open mind. 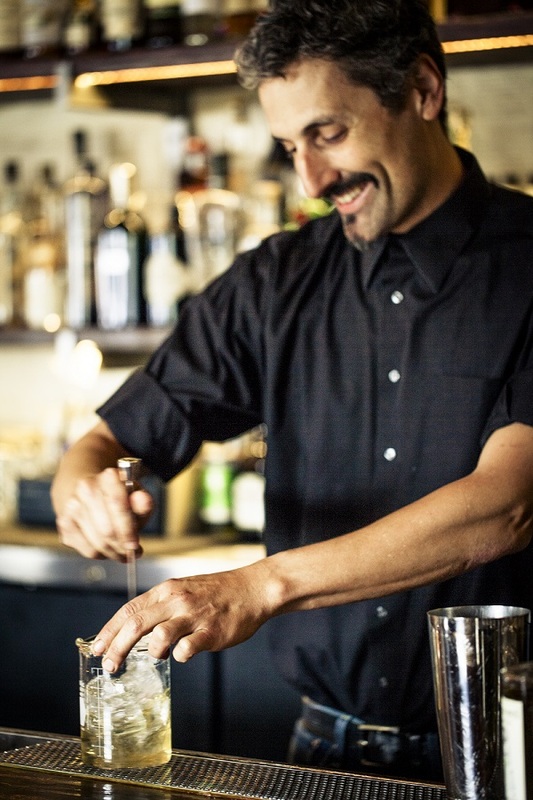 If you want to learn more about gin from me, come to my gin class at Two Sisters Bar & Books in San Francisco on March 7. 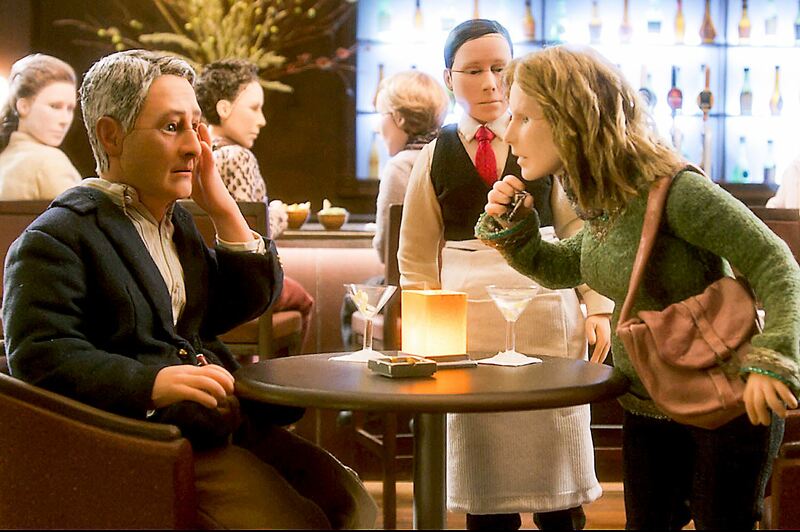 This entry was posted in Columnists, Drinks: Cocktails and Other Alcoholic, Films, Films: Animation and tagged Anomalisa, Charlie Kaufman, martini, Michael Cecconi, vodka. Bookmark the permalink.